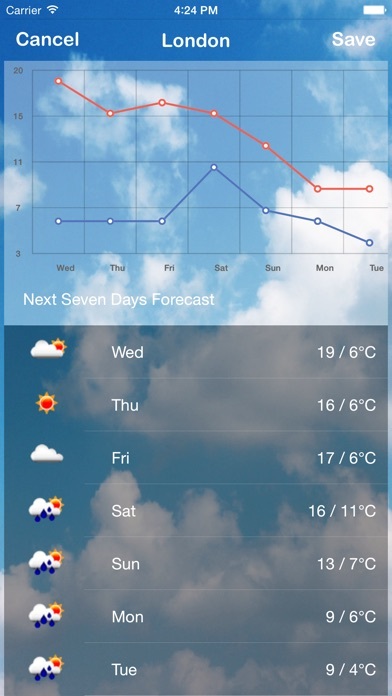 Weather City Pro is a weather app, which displays a list of cities. Each city leads to its forecast detail. It shows all details: winds, pressure, humidity and a brief description. + When scrolling down, a plot of temperature for next week offers the trend of climate change + An add button on the left corner of the top can help you add a new city to the city list. + The map button on the left corner of the bottom can show a map with city’s weather marks. The bookmark at the bottom of the map can help you change the focus on map to the city that you are interested in. 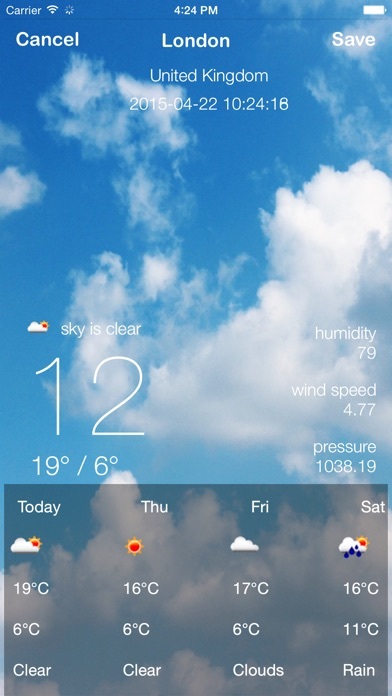 The weather icon is enable and leading to the detail of that city. 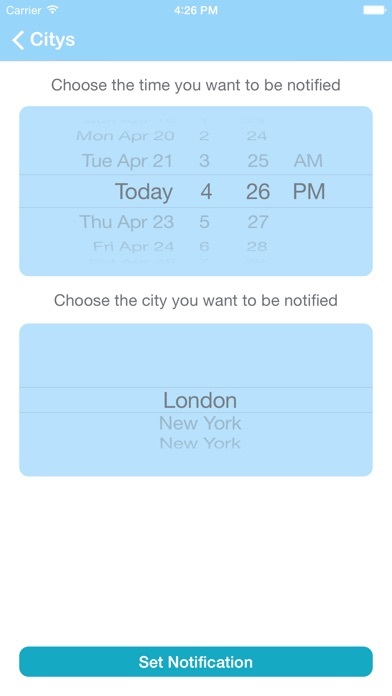 + The setting button on the right corner of the bottom leads to a setting page to set the notification time and city. Then you will get the notification at certain time. The save button of detail page can save the city to your list so that you can access them conveniently. If you allow the app to access your location, it will add your current city to the list automatically. It offers weather forecast and a time zone of that city. By combining the time zone and weather forecast, it makes travel more convenient. This app collects location data of user as well as user preference and gets climate info from a server according to the data, then shows all in a clear order and hierarchy.